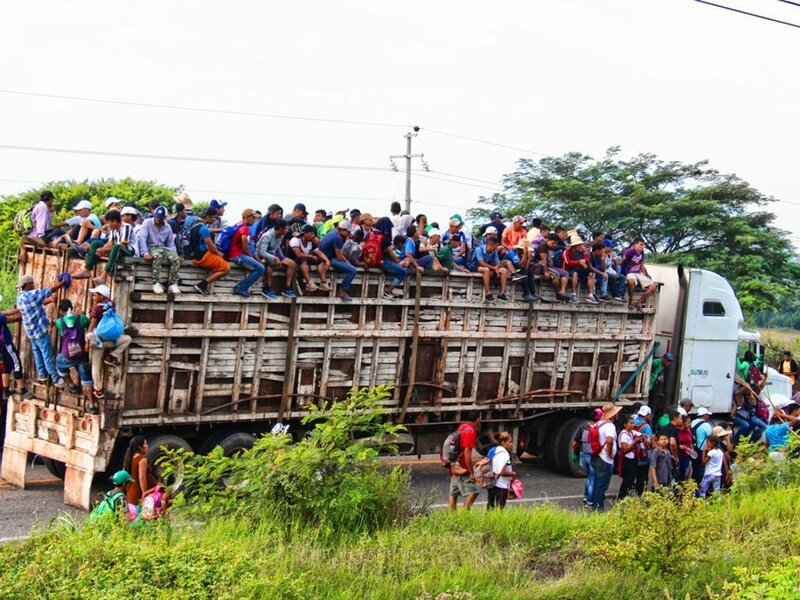 Central American migrant caravan passing by Chiapas, Mexico. 2018. Obiora C. Okafor - Independent Expert on human rights and international solidarity. Dainius Puras - Special Rapporteur on the right of everyone to the enjoyment of the highest attainable standard of physical and mental health. Leilani Farha - Special Rapporteur on adequate housing as a component of the right to an adequate standard of living, and on the right to non-discrimination in .this context. Michel Forst - Special Rapporteur on the situation of human rights defenders. Felipe González Morales - Special Rapporteur on the human rights of migrants. E. Tendayi Achiume - Special Rapporteur on contemporary forms of racism, racial discrimination, xenophobia and related intolerance. Nils Melzer - Special Rapporteur on torture and other cruel, inhuman or degrading treatment or punishment. Maria Grazia Giammarinaro - Special Rapporteur on trafficking in persons, especially women and children. Ivana Radačić - Chair of the Working Group on the issue of discrimination against women in law and in practice.